Once a month, our Risk Roundup provides a recap of 10 interesting articles and online resources on Risk and GRC that caught our attention. We hope you enjoy the one for January 2016. KPMG LLP has identified seven key strategic, operational and external risk areas that should top Chief Risk Officers’ (CRO) risk management agendas in 2016. Effective risk management and mitigation will be critical, since companies’ strategies, business models, operations, reputations, and, ultimately, survival are on the line, KPMG says. As global regulations proliferate and stakeholder expectations increase, organizations are exposed to a greater degree of compliance risk than ever before. This Deloitte Insights article argues that many companies may need to improve their risk assessment process to fully incorporate compliance risk exposure. This blog post from GRC 20/20 explains how and why companies must holistically look at the web of relationships that form the organization, and nest in deep supply chains and subcontractor relationships. Third party risk is the organization’s risk. Compliance and ethics problems of third-party actors are also problems for the organization. The Hill looks at the top regulations expected to be proposed by the Obama administration in 2016. The article describes 10 federal rules expected to be finalized, notably from the Securities and Exchange Commission, the Food and Drug Administration and the Department of Labor. Workplace health and safety risks not only impact employees across many industries, but also are very costly to companies. To help companies address some of the most prevalent workplace concerns that will impact safety in 2016, this OH&S article provides four key trends that organizations need to be aware of. This infographic from Kinaxis is about supply chain risks and the competencies needed to minimize their business impact. A proactive approach to risk management ensures that companies are prepared to recognize, assess and respond to any type of supply chain disruption. OCEG conducted a Tech Talk interview with Joe DeVita, Partner & GRC Technology Leader at PwC. This OCEG blog post summarizes the interview and gives DeVita’s insights into GRC technology, including tips on how to get started, and the benefits, along with examples, of GRC technology. 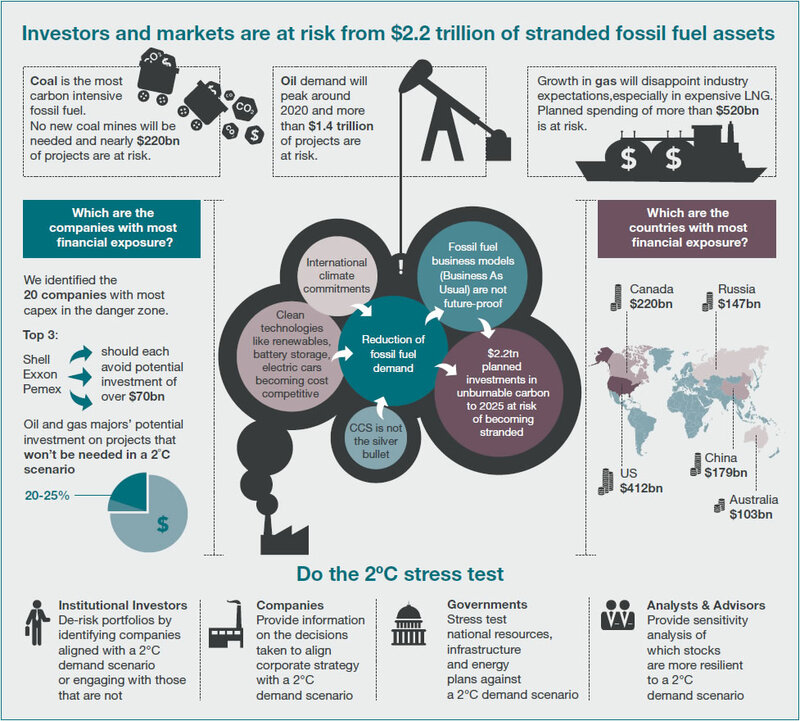 This infographic from Environmental-Finance.com explains how fossil fuel companies risk wasting up to $2.2 trillion in the next decade on projects that could be rendered uneconomic by actions to curb climate change and advances in clean technologies, according to the Carbon Tracker Initiative. The ISO 31000 Risk Management standard mentions six ways of treating risks. Each risk treatment option has different costs and impacts on processes. This post on Enablon Insights takes a look at each risk treatment option, along with examples to help understand them. Visit Enablon Insights again a month from now to learn more about what caught our attention in Risk and GRC.